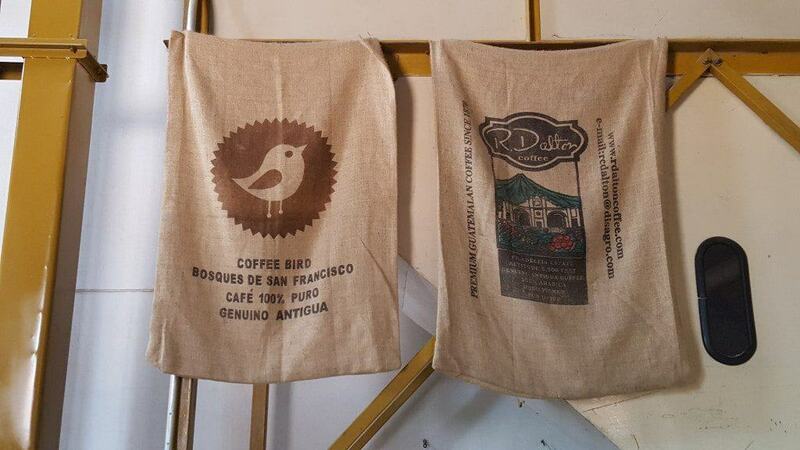 Coffee Bird is a green coffee company that sources the highest quality coffee directly from farmers in Central America, for speciality coffee roasters across Europe and Asia. 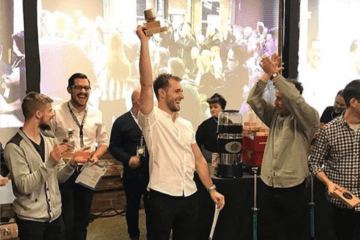 Marta Dalton, Coffee Bird’s founder and CEO, belongs to the sixth generation of coffee farmers in Guatemala, the fifth generation in El Salvador, and divides her year between London and Guatemala. Here she describes what a typical year looks like. I’m writing this article in the middle of the “pre-harvest” season, just two days back in London after an exhausting but exhilarating non-stop two-week trip to Copenhagen, Manchester and Seoul. Before that I was in Moscow. 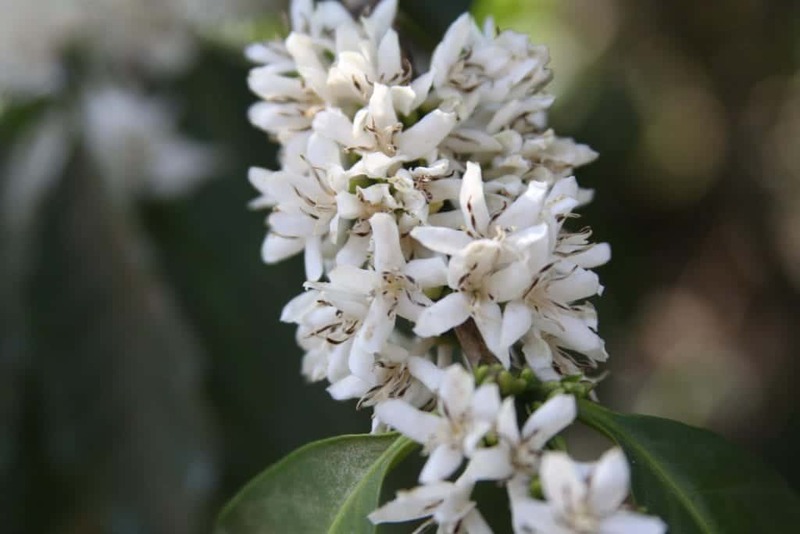 Nearly all of the 2015 season coffee has been sold and is being enjoyed in coffee shops and homes around the world, and it’s time to think about the upcoming coffee harvest. Most of my time since September has been spent talking to our clients and our farmers. Our clients are coffee roasters throughout the UK, and across Europe, Asia and Australasia who buy our green beans, roast them, and then sell to their own customers, who may be individuals or other businesses, for example cafes. I need to work out what sorts of coffees, and in what volumes, our roasters want next year. 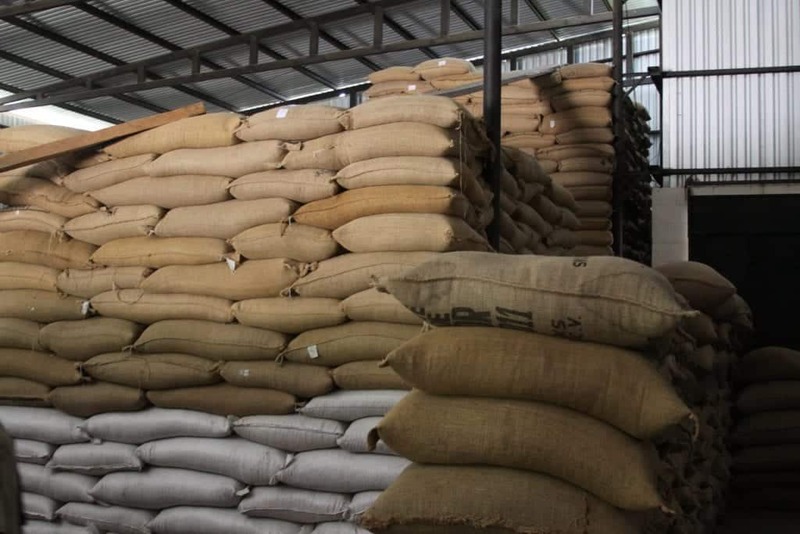 Last year we sold 50 different types of coffee and our client orders range from a dozen or so bags to container-loads. My mom is Coffee Bird’s director of green coffee, and as she is based in Guatemala all year round she is in constant communication with our farmers. The news from the farmers isn’t always good. 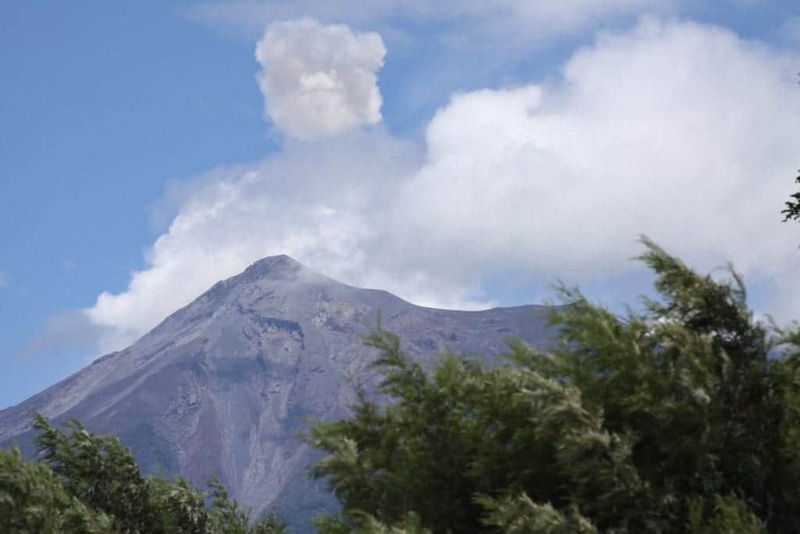 Last week [the first week of November] the Volcán de Fuego erupted, damaging over five thousand coffee trees in the Escuintla department of Guatemala. Farmers haven’t quite recovered from leaf rust, and are now terrified they may lose their harvest to the volcano. Many farmers are told to simply have patience and faith. Growing coffee is a precarious business. Now comes a period of intense planning. Before the start of the harvest, we devise our schedule of when the coffees will be ready and when our clients need them and work out the shipping logistics and the financials. Rainfall was unexpectedly high in 2015 and in some regions of Guatemala the harvest will be arriving up to a month earlier than usual. In other regions, rainfall was unexpectedly low, so the yield is lower. These factors have to be taken into account. As the festive season approaches I prepare to go to Guatemala for the harvest. Harvest, Guatemala. “The Land of Eternal Spring”. 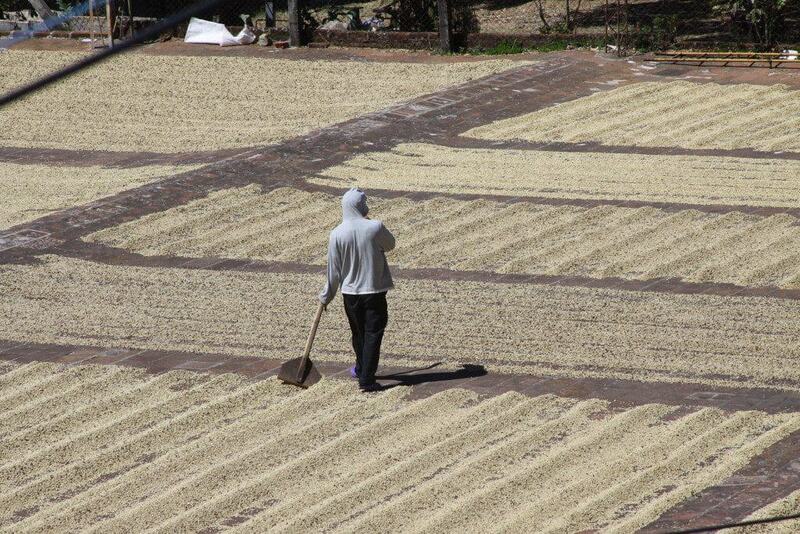 December through April is the coffee harvest season and I spend most of it back home in Guatemala. Guatemala is just amazing. It has such a rich cultural legacy and outstanding natural beauty. 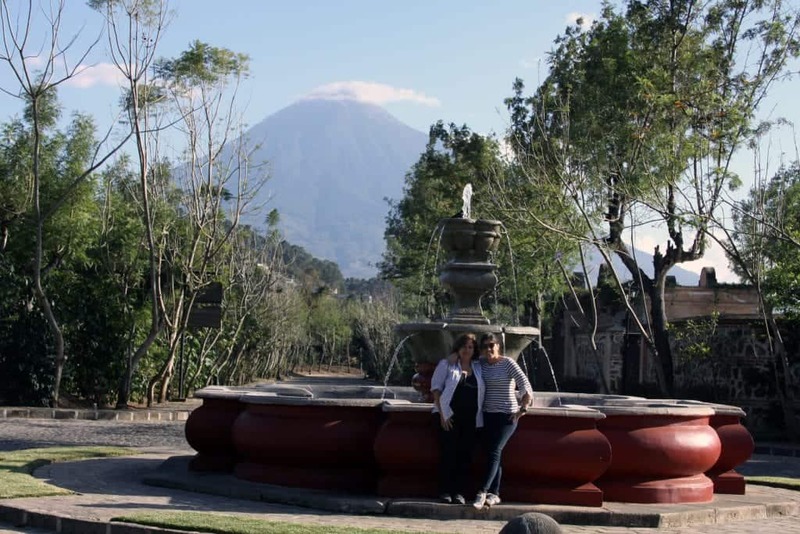 There is no other place in the world that can calm me like the volcanic landscape surrounding the Antigua valley. I split my time between our cupping lab and visiting coffee farms. Time spent at the farms is fantastic, but the winding journeys via unpaved and dirt roads are exhausting, and can feel like a bad roller coaster ride. Last season we sourced our coffee from several different farms, including my family farm, which was founded by my great-great-great grandfather. 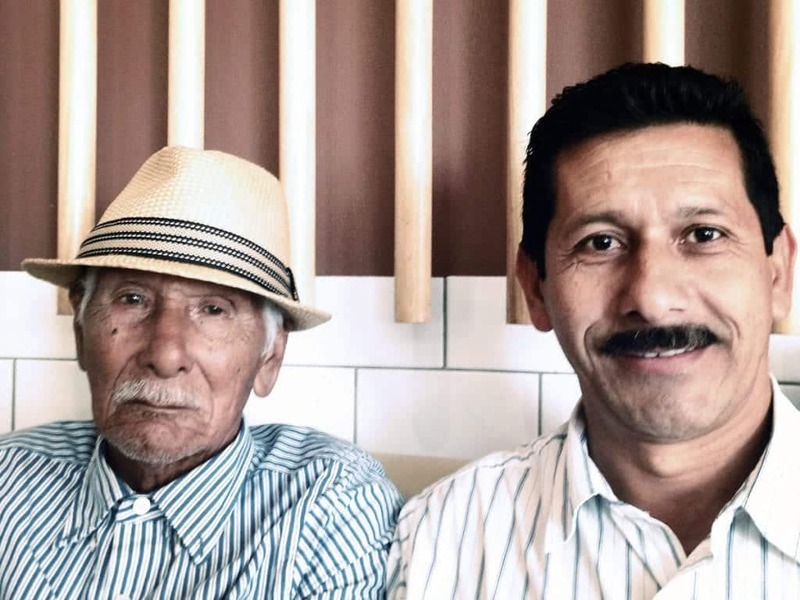 He was the first coffee farmer in Antigua, and when he first started growing coffee in the region, he worked with his nephew. This year, we started working with his nephew’s family in Antigua, which feels like we are coming full-circle. 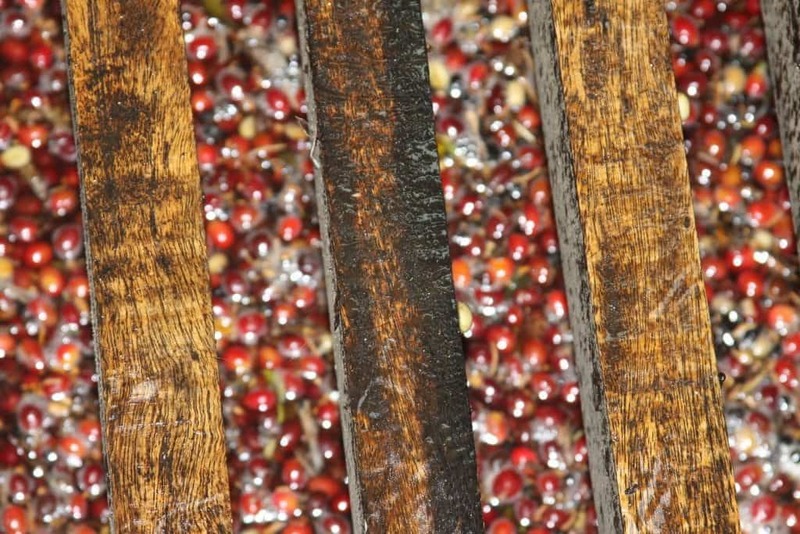 For the highest quality coffee the picking usually starts by the end of December/early January. The coffee cherry mucilage tastes like a sweet honey. When coffee initially completes the processing and drying stage it tastes really fresh, almost like freshly cut green grass. Sometimes the body can be so light it seems unstructured as well. It took me a while to taste behind the freshness and get a feel for each coffee’s real potential. Once the coffee rests for a month or so the fresh taste is lost, the body has formed properly and the real flavours of the coffee come out. Alongside our team in Guatemala, I cup the coffees throughout the harvest and give the farmers feedback. The range of flavours present in our farmers’ coffees is simply amazing. Guatemalan coffee has a reputation for chocolate and nutty notes but it offers a broader range of interesting and complex flavours including lemon meringue, pomegranate, honey, black cherry, lavender and red liquorice. When you think of what it really takes to achieve a quality cup of coffee, it can seem almost short of a miracle. A quality cup is a result of a series of attentive steps. 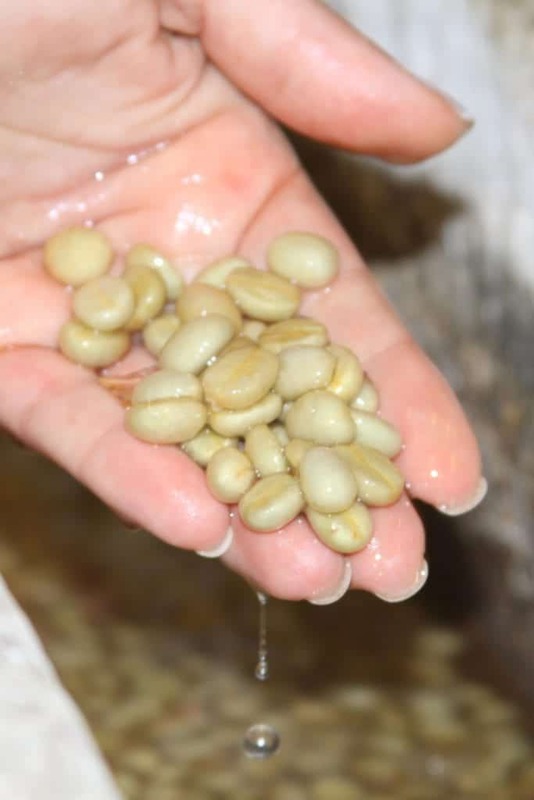 These quality checkpoints take place through each stage, on the field before picking, when sorting, pulping, during fermentation, when washing and drying. 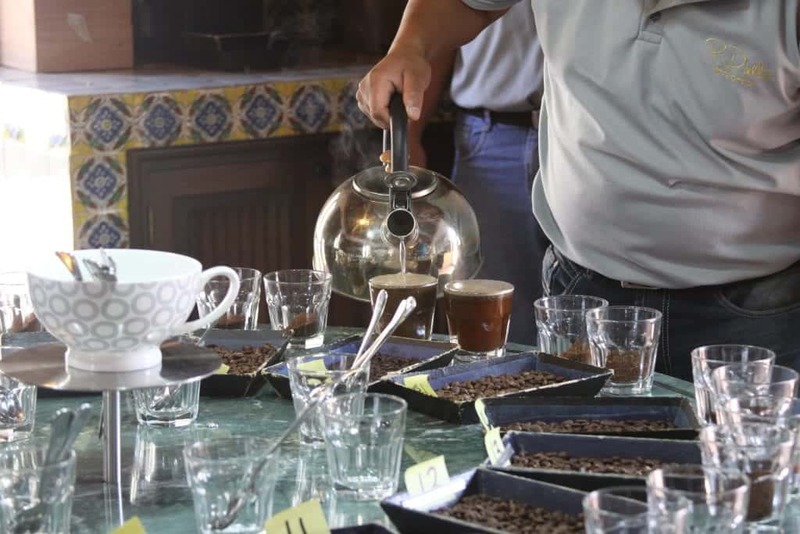 We cup the various lots at every stage to ensure they are optimal. Once we have approved the quality, we create flavour notes based on our cupping experiences, and we send the notes along with samples and farm information to selected clients. Many clients actually come and visit us in Guatemala during the harvest. You can read about a couple of Square Mile’s visits to our farms. This gives them a real sense for the origin, plus their feedback on flavour and quality is invaluable for our farmers. We want to help our farmers understand their coffees’ place in the market. For example, this year we are running a cupping school for our farmers to help them better assess their coffees. Without sufficient knowledge a farmer may even sell an excellent coffee into the “C” [i.e. commercial grade] market. This year was the first time our work with Rene Perez brought his coffees to the speciality market. By March/May we will have finalised all the new coffees we are buying. I will have tasted each coffee around 10-15 times and will be very confident about it. Landing of green coffee, London and worldwide. Back in London! I love my time in Guatemala, but by the time the season is over, I’m happy to be back in the Big Smoke. Our coffees land in the UK from mid-March throughout the summer and then undergo further extensive quality checks. For coffees warehoused here in the UK, myself and my team will cup them several times and then send samples to our clients for approval. Only when everyone is happy do we release the coffees. Aside from overseeing the logistics involved in finally getting the coffees to their final destinations, summer is a whirlwind of visiting clients, arranging cuppings for new clients, researching and reaching out to new markets and attending trade shows around the world. My recent trip to Korea was definitely one of the year’s highlights. 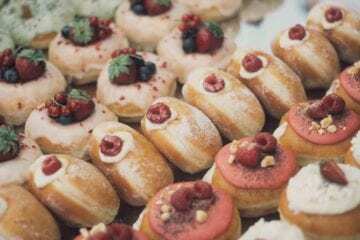 Coffee culture in Seoul is like nowhere I’ve ever experienced. The sheer number of coffee shops is astounding. And among the franchise cafes and themed cafes there are some absolutely amazing speciality roasters. By the end of the summer I am usually missing Guatemala, and daydreaming of being back home at the farm. 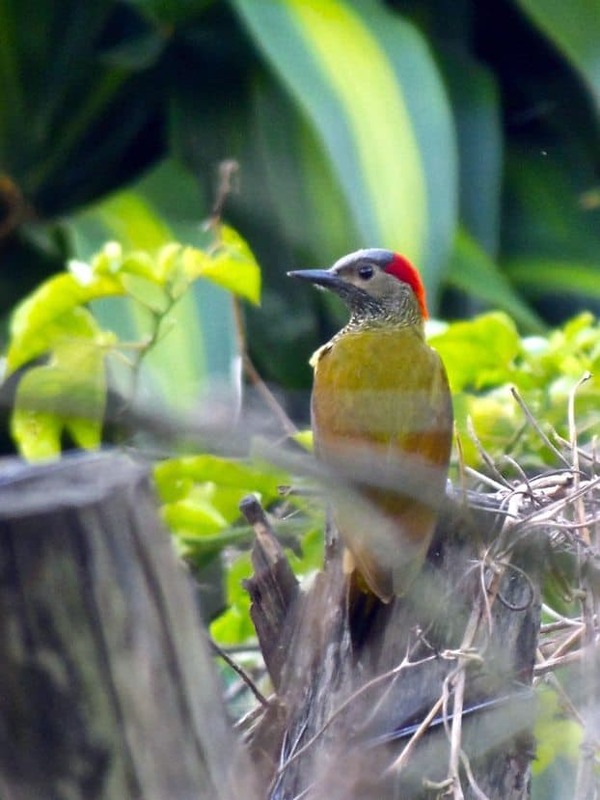 In London there is the constant noise of traffic in the background whereas at the coffee farms I only hear birdsong. 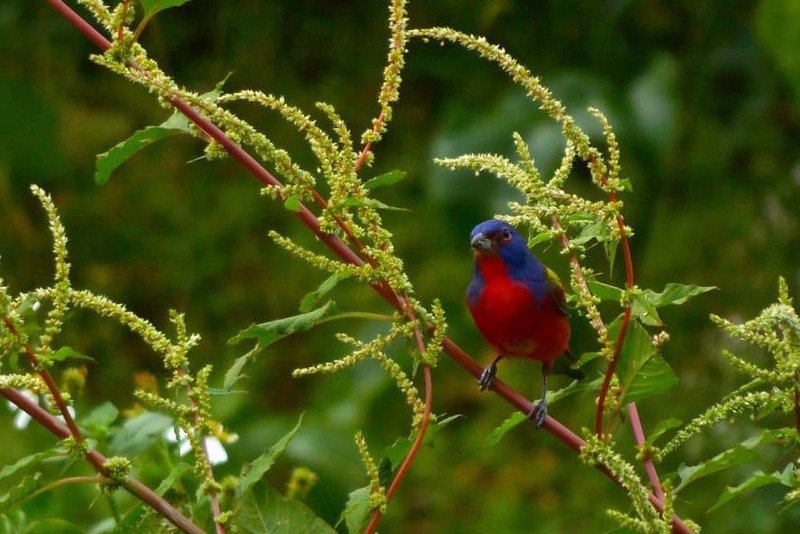 Guatemala is a birdwatchers’ paradise with at least 732 species and many of them live on coffee farms. 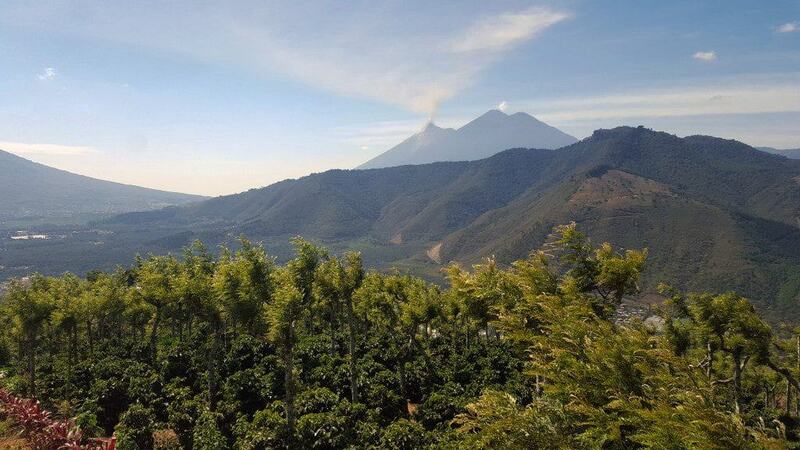 Our farmers grow their coffee plants in the shade of taller trees and the extensive coffee forest canopies of Guatemala provide habitat for the birds. 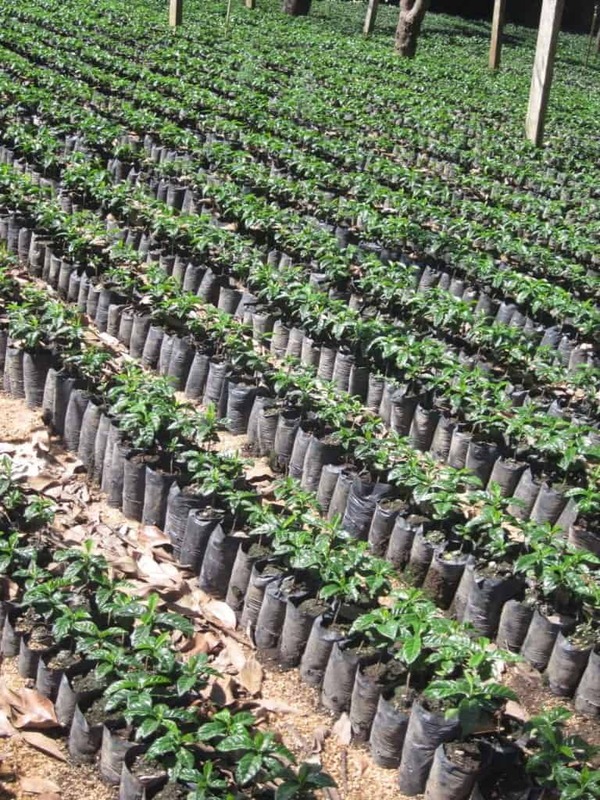 Sadly El Salvador has lost most of its forests, however, shade grown coffee helps protect the remaining forest and bird habitat from destruction. It was with this in mind, the connection between coffee and birds and the environment, that I named my company “Coffee Bird”. Hopefully when people drink our coffee they will think of them too! Marta Dalton belongs to the sixth generation of coffee farmers in Guatemala, is Coffee Bird’s founder and CEO and divides her year between London and Guatemala.